Destructive 'agnosticism' : Missing from JVP pronouncements are any critiques of the BDS movement’s goal of dismantling Israel. Not only does JVP defend pro-BDS groups, it partners with them. The leaders of BDS certainly speak plainly about their goals. Omar Barghouti, a founding member of the Palestinian Campaign for the Academic and Cultural Boycott of Israel, spoke last March at a church in the San Francisco Bay area, and declared that for the BDS movement the 1967 occupation is "not the most important" issue. Instead, he said, the "foremost" demand of BDS is the right of return. The same Barghouti has also said, "If the refugees were to return you would not have a two-state solution; you'll have a Palestine next to a Palestine rather than a Palestine next to an Israel." Other BDS advocates are equally explicit. "BDS represents three words that will help bring about the defeat of Zionist Israel and victory for Palestine," said Ronnie Kasrils, the veteran South African political figure and advocate for the Palestinian cause. And Palestinian-American journalist Ahmed Moor writes, "Ending the occupation doesn't mean anything if it doesn't mean upending the Jewish state itself ... BDS does mean the end of the Jewish state." Some may try to dismiss these comments as merely individual opinions. But that is just more obfuscation. The sum of the BDS movement's central demands (as outlined in its manifesto, the "Palestinian United Call for BDS against Israel" ) - especially the demand for a "right of return" - make it clear that BDS seeks to disassemble the State of Israel. Or, as Barghouti envisions it, a "Palestine next to a Palestine" and no Israel. JVP's website declares: "Our mission statement endorses neither a one-state solution, nor a two-state solution ... we have members and supporters on both sides of this question, as well as many others who, like the organization as a whole, are agnostic about it." In the face of the annihilationist and overtly anti-Semitic ideologies motivating Hamas, Hezbollah and their state sponsor Iran, this agnosticism coming from a Jewish group with respect to Israel's existence, and thus the safety of millions of Israeli Jews, represents a gross moral failure. JVP's website also states, "JVP defends activists' right to use the full range of BDS tactics without being persecuted or demonized." Missing from this statement, and from any JVP public pronouncements, are any critiques of the BDS movement's explicit goal of dismantling Israel. Further, JVP not only defends pro-BDS groups, it also partners with them. Based in the San Francisco Bay area, JVP for years has repeatedly co-sponsored scores of events and demonstrations with anti-Israel and explicitly anti-Zionist organizations that overtly support the full range of BDS. These include the Al Awda Palestinian Right to Return Coalition, International Jewish Anti-Zionist Network, Students for Justice in Palestine, Sabeel, Bay Area Campaign to End Israeli Apartheid and the International Solidarity Movement, among many others. "The Movement for One Democratic State in Palestine"
Having failing in their attempt to drive the Jews into the sea, the usual assortment of haters are trying a new tactic. Cynically and manipulatively drawing on the language of the civil rights movements, they call their movement “One Democratic State in Palestine” . Their conference was held Oct 23-24 2001 in Dallas,Texas. 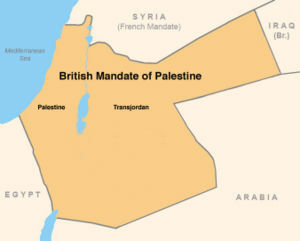 *The creation of a unified one democratic state in Mandate Palestine. How are they going to break the news to Jordan? *Repudiate Zionism and eliminate all forms of discrimination and segregation and end violence, militarism, and warfare. Hmmmm . The Palestinian authority executes Arabs that sell land to Jews. Hamas remains a theocratic homophobic, misogynist regime. Any idea how to convince them to embrace democracy and equality? Any idea why the "One democratic state" organization does not repudiate the racist xenophobic Hamas charter? *Unify Jewish Israelis and Palestinians in a shared non-ethnic democratic state in Palestine. "The Islamic Resistance Movement believes that the land of Palestine is an Islamic Waqf consecrated for future Muslim generations until Judgement Day. It, or any part of it, should not be squandered: it, or any part of it, should not be given up. " Not very democratic. The use of the term "non-ethnic" is also curious. Does this give them free reign to establish a religious, Islamic state in this region? After all, "Islam" isn't an ethnic identity, is it? *Restore Palestinian inalienable rights in Palestine and to compensate Palestinians for their pain and suffering. Reminder : UN resolution 194 mentions “the refugees”. That means ALL the refugees. There were 850,000 Jews refugees from Arab lands displaced at this time. When will their inalienable rights be acknowledged? When will they be compensated? Why does the "One Democratic state" group seem to think that only Palestinians are entitled to "human rights? *Establish an international solidarity movement,composed of individuals and organizations, to organize and spearhead efforts to realize the objectives of one democratic state in Palestine. They aren't off to a very good start. The speakers at this conference included several notorious anti-Semites, including Gilad Atzmon, a man so far off the grid that Tony Greenstein, UK Marxist anti-Zionist has even renounced him. Atzmon is so racist that sweet gentle Berkeley Unitarians left his talk in tears after his appearance in the Fellowship in 2009. Lenni Brenner, author of Zionism in the Age of the Dictators also addressed the conference- A favorite of neo-nazis of all stripes, Brenner maintains that "Zionists" were in league with the Nazis during World War II and that this alliance was based on a desire by the Zionists to bring about a Zionist state by exploiting anti-Semitism in Europe. "The Movement for One Democratic State in Palestine" is simply another wolf in sheep's clothing, using the rhetoric of civil and human rights to deny the Jewish people the right to self determination in their ancient homeland. But with the likes of Atzmon and Brenner in their corner, they won't be fooling anyone.